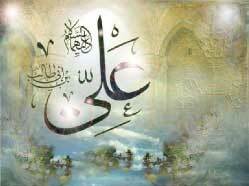 (The full name of) the Commander of the faithful is Ali b. Abi Talib b. Abd al Muttalib b. Hashim b. Abd Manaf. (He was) the Lord of the testamentary trustees of authority (wasiyyin), the best of blessing and peace be on him. His kunya was Abu al-Hasan.